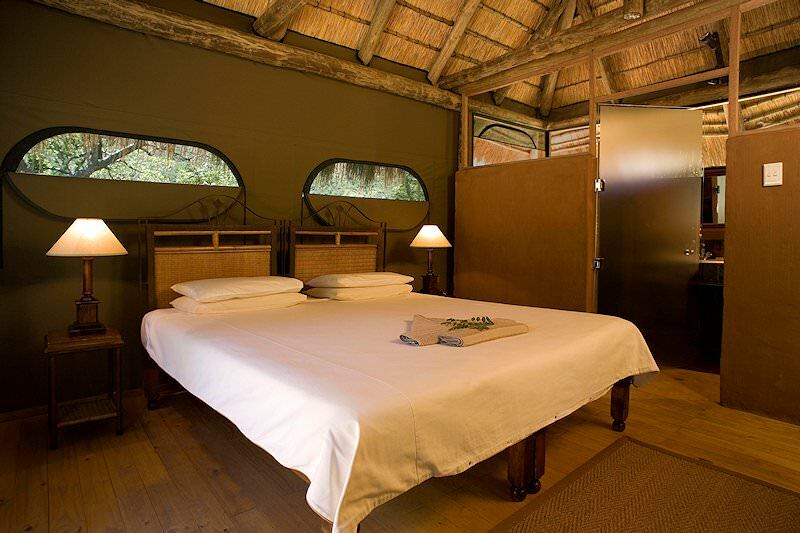 Entabeni Wildside is ideal for those seeking a South African safari in a malaria-free wilderness. 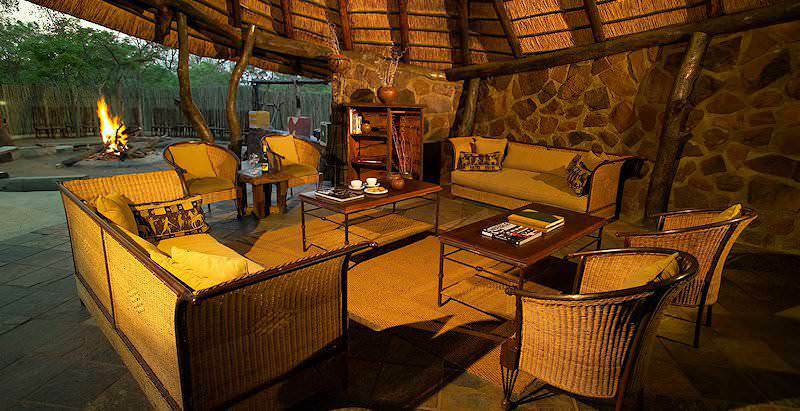 Entabeni Wildside Safari Camp is situated in the Waterberg region of the Limpopo province in South Africa. 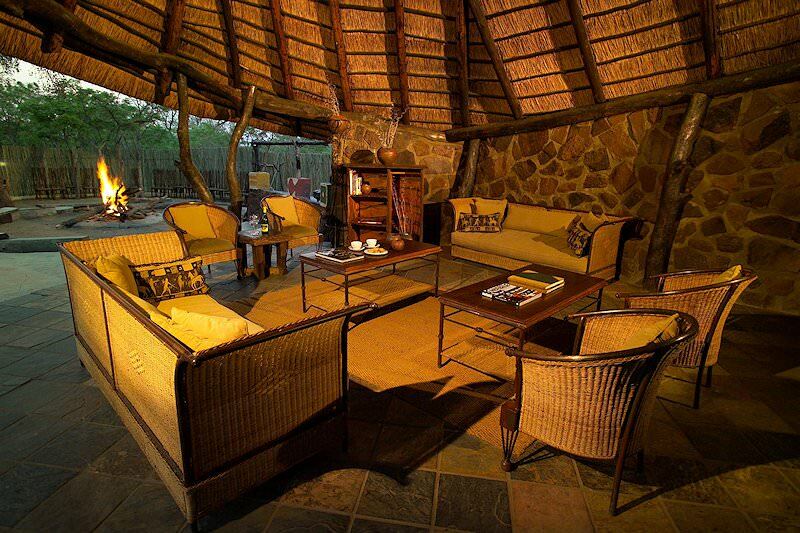 This malaria-free tented camp offers an authentic South African safari experience. 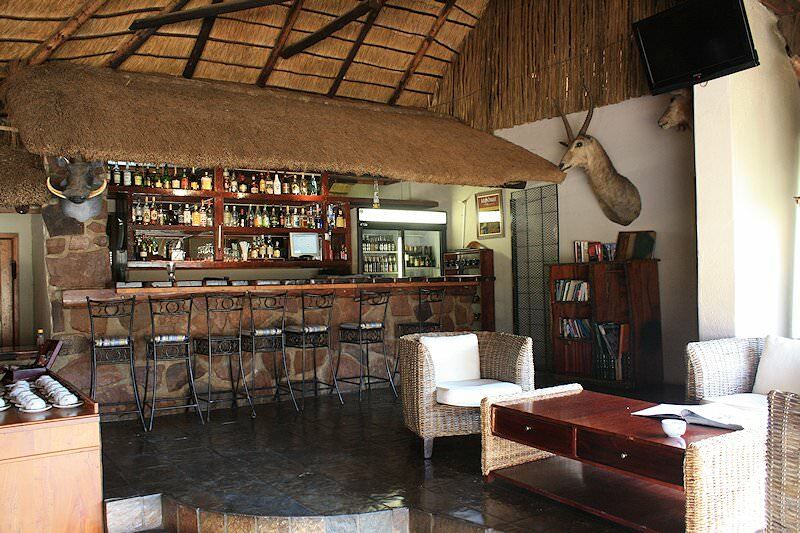 The open plan bar and lounge that lead out to a roaring fire in the bushveld boma are conducive to warm and pleasurable nights under clear African skies. 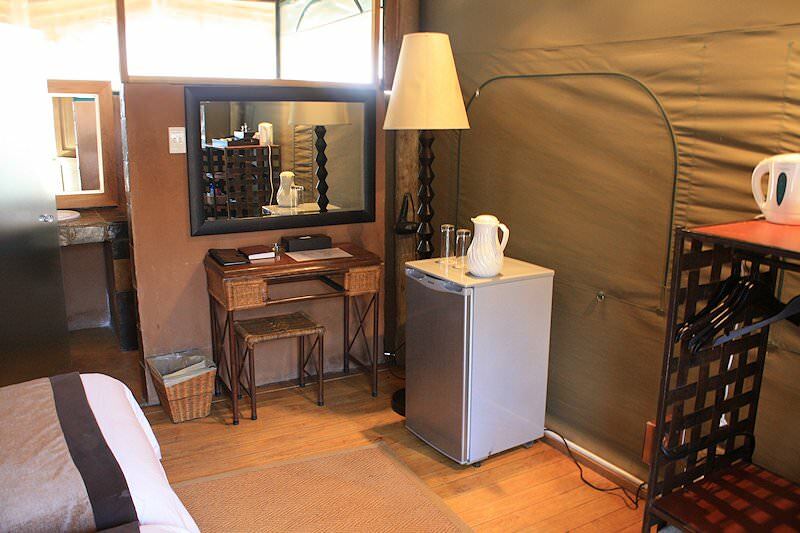 Entabeni Wildside Safari Camp has 20 tents, which include four family tents with en suite facilities. 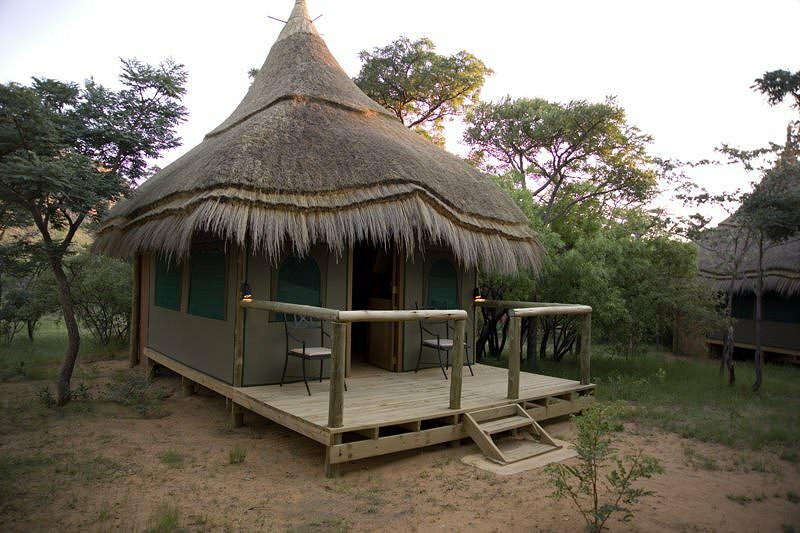 Part of the 22 000 hectare Entabeni Safari Conservancy, the camp has a multitude of activities in which the visitor can partake. Game drives in the conservancy will lead to close encounters with the Big Five while being guided by professional staff. Armed and experienced rangers will accompany visitors on bush walks for an up-close-and-personal experience of wild Africa. Balloon safaris offer spectacular bird's eye views of the conservancy, while helicopter rides, paintball, quad bikes, abseiling and the swimming pool will satisfy those with a more adventurous streak on their safari in South Africa. Guests are transferred to the tented paradise of Entabeni Wildside Camp from Johannesburg's OR Tambo International Airport, where their South Africa safari package begins. Game drives in open 4x4 vehicles present the opportunity to meet the illustrious Big Five in the multi-hued setting of the Waterberg. Additionally, guests may opt for a horseback safari or dig their heels into the African soil itself. Soak up the sun on the bend of a poolside daybed or submerge yourself in its refreshing waters. Mingle around the embers of a log fire with only the witness of the wilderness and the celestial nighttime plafond. Wildside Camp offers rousing bonus activities for groups, such as 'potjiekos' competitions, drumming sessions, tribal dancing and the like. 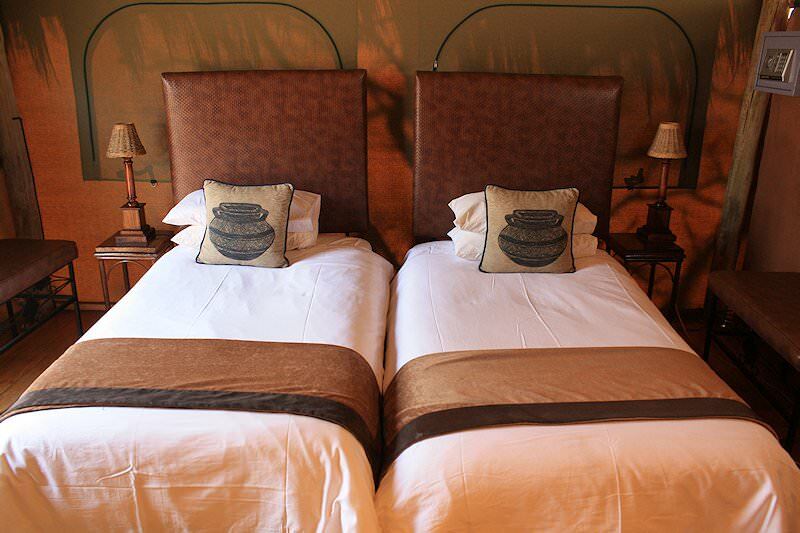 Every whim of excitement can be sated during this South African safari package. 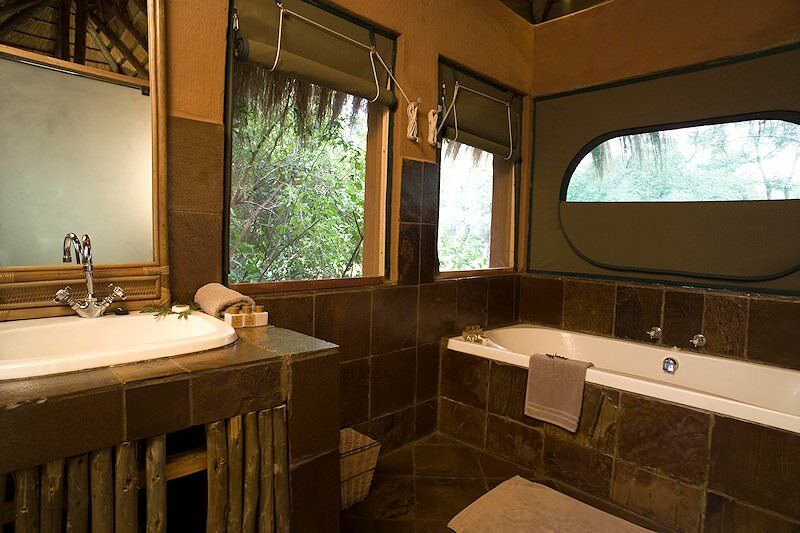 Wildside Camp is the only tented camp at Entabeni. 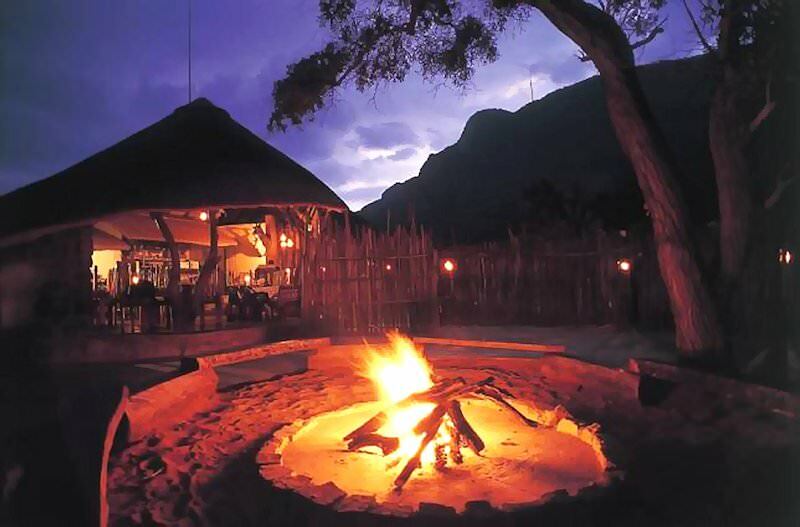 The camp has a wonderful ambiance and evokes an authentic African safari atmosphere. It also offers the best value for money at Entabeni, and should definitely be considered by those seeking a great budget-friendly safari in the bushveld. As an African safari destination, South Africa offers the best value for money. Botswana is sought-after for its pristine safari areas, like the Okavango Delta. We offer both privately guided overland and fly-in safari packages to Namibia. Zambia is often overlooked as a travel destination, but the safaris are spectacular. Mozambique's 1000km coastline is revered for its beaches and coral reefs. The Kruger National Park safaris offered by African Sky range from affordable overland adventures to plush fly-in packages. The luxury safaris we offer explore the most bewitching corners of Southern Africa, from the lush Linyanti marsh to arid Etosha. The Big Five are most prominent in the wilderness areas of South Africa, from the Kruger National Park to Shamwari Private Game Reserve. The African lodges we include in our packages are typically wonderfully inclusive, from your meals and selected drinks to safari activities.